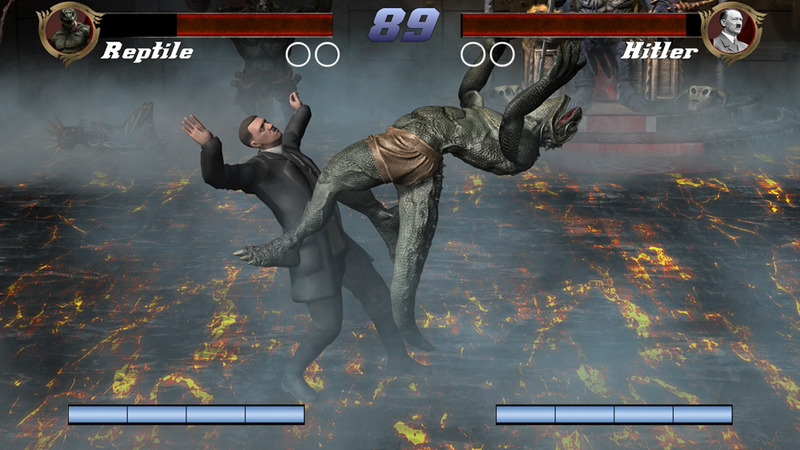 "It finally happened, Hitler fights a Lizard!" 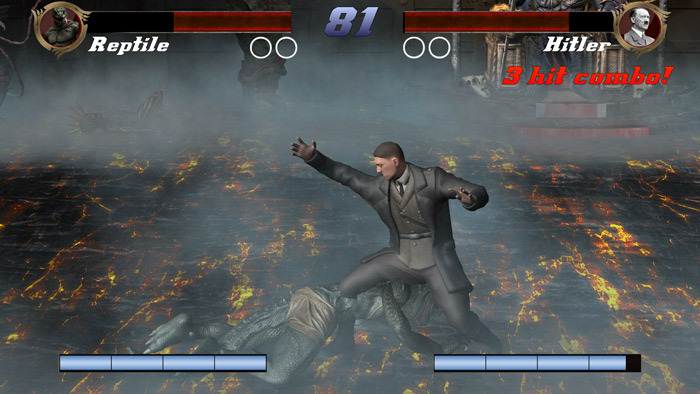 Unknown Fatality is a classic style one on one side scrolling fighting game much in the same vein as Street Fighter or Mortal Kombat however as this is just a demo version only two characters are playable at the moment and they are a very interesting choice of first fighters in one being a reptile lizard kind of creature and the other being the ultimate evil of Adolf Hitler! 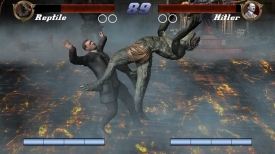 Unknown Fatality can be played against a CPU opponent or multiplayer locally with the two players being able to play from the same keyboard, Unknown Fatality uses almost photo like graphics and you can see the largest influence here is the classic fighting game Mortal Kombat, however the game play itself needs a lot of work at times you are just blindly bashing buttons and hoping to land a sucker punch on your opponent, but it can feel over sensitive when trying to move your player around and there is no real finesse to achieving a win as much as just button bashing. An original idea that could be a little offensive but is also kind of funny that has good intentions but lacks the game play that would make you return to it for anything more than novelty value. 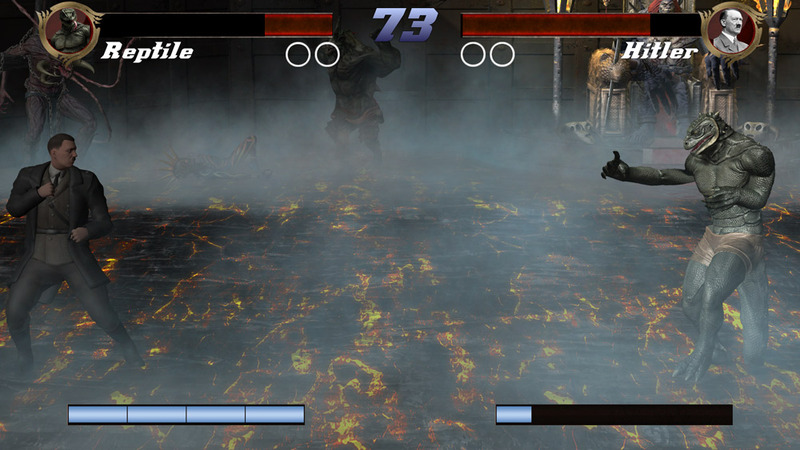 You can download Unknown Fatality demo here for free.